Brussels refused to be content with the formal launch of the system. 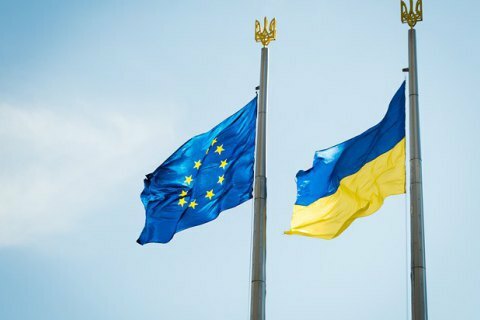 The European Union has said it will evaluate the success of the system of e-declaration in Ukraine not just by the formal launch, which took place on 1 September but by its effectiveness. "The success of the electronic asset declaration system will not be measured by its formal launch, but by the effective and uninterrupted functioning of the system. This includes criminal liability for submitting false declarations. Furthermore, public accountability is the founding principle underpinning the e- declaration system in order to prevent and counter corruption among public officials ", - said in a statement the EU Delegation in Ukraine. Also, the EU stressed that "It is important that full responsibility for the management of the system remains with the National Agency for Prevention of Corruption (NAPC) and that the independence and integrity of the NAPC is fully ensured." During the approval of the 2016 budget, the parliament adopted an amendment, which postponed the electronic declaration of civil servants income until 2017. After the scandal that followed, the deputies cancelled the amendment. However, the law on abolition sponsored by MP Vadym Denysenko voided the provision on criminal liability for false declaration until 2017. In addition, the new law has in fact emasculated electronic declaration giving public servants too many opportunities to hide assets. Under the pressure from the European Union, the legislation was vetoed and rewritten. In August, on the eve of the launch of the system, a software problem has surfaced, which was quickly promptly resolved after the intervention of the European Union. The launch of e-declaration is one of the conditions of EU granting visa-free regime to Ukraine.